Obese patients looking for cheaper and efficient weight loss procedure have the option of Intragastric balloon devices. These procedures are also less/noninvasive and are reversible. Nevertheless, their outcome regarding weight loss and resolution of comorbid conditions is satisfactory. This device is made of 2 balloons that are connected by a silicone shaft. The balloons are filled and sealed separately. Like Orbera, ReShape Duo balloon approval by the FDA is still <2 years. Most insurance companies do not have it covered by their insurance policies, meaning that the patient has to bear the whole cost of this procedure. The price of intragastric balloon varies from one country to the other and even within a country. The total cost usually covers the cost of the balloon, the pre-procedure investigations, follow up and removal after six months. 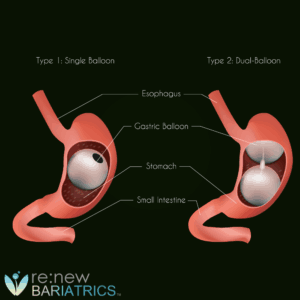 Interested in the Gastric Balloon Procedure? Contact our helpful team today to learn more. The average cost of ReShape Duo is about $7,000 in the US with variations from one hospital to the order. Relatively lower price can be obtained outside the US. Other factors that may affect the cost of this procedure are the presence of a comorbid condition(s), and the development of complications necessitating additional medications. Thus, it is not proper to base your budget on the various online price quotes. To get the accurate cost of getting a Reshape integrated dual balloon system, kindly talk to your doctor. He will, in turn, evaluate you and come up with an accurate cost of the procedure. You may also get providers who are ready to offer you relatively flexible payment methods. However, the cost may be slightly higher.